Hi guys, I've been playing Hearthstone for a few years now and today it's my first time hitting rank 3, and it's my highest rank so far. However, I find it extremely tough to climb the ladder now, going back and forth between rank 3 and 4. Had to grind a lot and took me about 2 weeks to climb from rank 5 to rank 3. They call it "the grind to legend" for a reason mate :). It’s rock paper scissors my friend. There are a lot of die hard beast hunters and odd paladins so maybe try a control deck of some sort. For me hitting legend is quite the challenge.. It is definitely hard. And you need to play a ton of games. Had to grind a lot and took me about 2 weeks to climb from rank 5 to rank 3. It really depends on your skill and (I think even more important) if you are playing a fast deck, which is good in the current meta. Took me two days to climb from rank 5 to 3 with Odd-Rogue this month so far. I`ve allready went Legend one time (last year) so Legend doesn`t matter for me anymore... but I will see how far I will go this month. 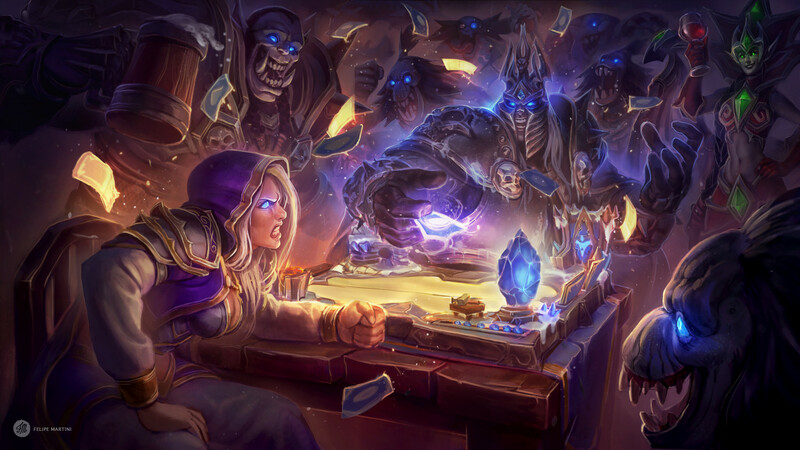 Blizzard should make a special stream lessons or youtube videos in which they explain the the only way hs should be played is with supa dupa 1000 IQ control/combo homebrewed decks and 30 minutes long match is a minimum time period that proves you're not braindead blah blah something etc. Almost same here, mate... I've never made it to Rank 8 until today. 3 hours grind back and forth, but finally rank 8. It's hard. I suppose 5 and above is even harder. I just hit legendary yesterday only playing a handful of ranked games a day (0-5 games i'd say). I wish i would have tracked my WR. In previous months the climb felt harder but it's really a mental thing. Be ready for losses due to you misplaying and kicking yourself or the other guy just drawing the nuts and you having no options. Just focus on playing each game the best you can and play something you find fun and know very well so the climb will be easier mentally. Rank 3 is where the competition to legend really starts to be at it's highest, i feel like there is a noticeable difference between it and 4-5. Just stick at it and put in some games each day and you'll get there. You don't have to play a ton of games if you're playing something strong in the meta and play well (albeit there is luck involved as well). All until rank 5 is "relatively easy" because of win streaks. Because of them you theoretically don`t even need a WR above 50% to climb. The "hard mode" begins at rank 5, where there is no win streaks anymore. Well for me Rank 5 and up really is hardmode, the range of decks you encounter is smaller imo, it then depends on your skill and your matchups.. Recently for me, mostly matchups, got pretty unlucky, for example facing 5 midrange hunters in a row, as soon as I switch deck.. 4 paladins.. got damn it! Really depends. I've had months where I nearly tore my hair out, and I've had months where I didn't even try, and while grinding for golden heroes, I would go from rank 3 to legend in a day on a hot streak. Temperament matters a lot, as well as choosing a deck that isn't too slow if you don't want to waste 20 minutes at a time on losing a star. Also, ENJOY THE DECK. Grinding hours a day using a good deck that you're sick of just leads to tilt and lack of enjoyment. My tip is to not try too hard and play normally, weird tip as it may be. It made things easier for me. I no longer grind for legend but on good months where I have time, I still get there. it can be so frustrating, been 1 game from Legend at day 3 this month. If I were to do it I would pick an aggro deck for sure (even though I prefer control). A positive win rate and fast games will reduce the grind immensely. Im doing the same as you, back and forth...it really feels like many games a re just decided by the opening hand. I hit legend once, with even paladin before all the nerfs. For once I actually enjoyed playing a top tier deck, and when I saw myself quite effortlessly swing around rank 3, with just an hour here and there I decided to put in a real effort to get that card back, which I ended up doing. yeah, its though, but its actually quite manageable with a top tier deck, but you have to put the time in, and as I see it, you actually have to enjoy the deck and grind. Ive had a couple of half assed attempts with non-optimized decks or decks that where top tier, but I just didn't enjoy playing, I failed every-time because I just got bored and annoyed and consequently played badly and/or quit. its a lot of victories, and every loss will set you back a lot. My recommendation is to not attempt it before you've put in the time with that specific deck, enjoy playing it, and have a good win rate.